It was brought back to life in the 1930s when it became another favourite for use with odd pieces of scrap during the Great Depression. 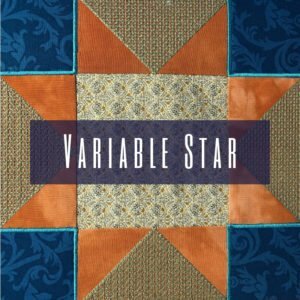 Variable Star – in the East of the USA this is a multi-colour variation. Texas Star – During the annexation of Texas in the mid-1800s it became known as the Texas Star. The dimensions given are for a 5″ square block. You will be working with nine squares in variations of solid, and quarter square triangles. For the blocks marked A in the diagram, cut squares measuring 2,5″. This includes your 1/4″ seam allowance. For the blocks marked B in the diagram, cut one square measuring 3,5″. This includes your 1/4″ seam allowance. For the blocks marked C in the diagram, cut two squares measuring 3,5″. This includes your 1/4″ seam allowance. For the blocks marked D in the diagram, cut one square measuring 3,5″. This includes your 1/4″ seam allowance. You will start off by making half square triangles in order to get to the quarter square triangles. Make one half square triangle from fabric C and B by placing the fabric right sides together and marking with a line from one corner to the other. Using the line you marked, stitch a quarter inch on either side of the marked line. Cut the pieces apart using the marked line as the cutting line. You will now have one completed half square triangle. 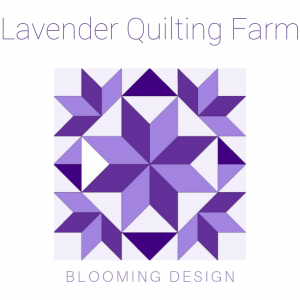 You need to repeat this for one using fabric C and fabric D.
Place one half square triangle block over the other half square triangle block, aligning the seams. Check your colouring because you will now repeat the same process, but you want the C fabric to be opposite each other. Mark your line from corner to corner and again stitch either side of this line with a quarter inch seam. Cut on the marked line so that you again have two pieces. You will now have your first block of quarter square triangles. Continue until you have the four blocks needed for the Ohio Star. 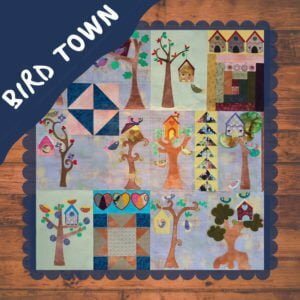 To put the blocks together stitch a fabric A to either side of a quarter square triangle for row 1. Stitch a quarter square triangle to either side of your centre block for row 2. The last row is a repeat of row 1. Stitch the three rows together to complete your Ohio Star.